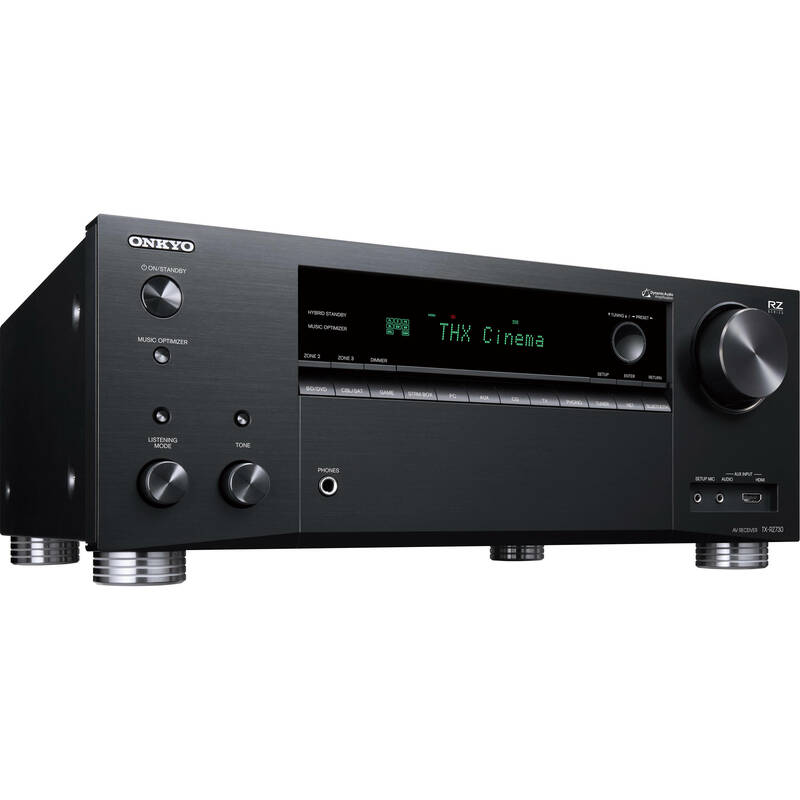 Up to 95W per Channel at 8 Ohms Audyssey MultEQ XT Sound Calibration HDR, UHD, 3D Pass-Through HDMI with Audio Return Channel 8 x HDMI-In / 2 x HDMI-Out Built-In Wi-Fi and Bluetooth Apple AirPlay Connectivity Front-Panel USB Connectivity Discrete Amp Design GUI On-Screen Display Enjoy immersive multi-channel sound with the Denon AVR-X2500H 7.2-Channel Network A/V Receiver. 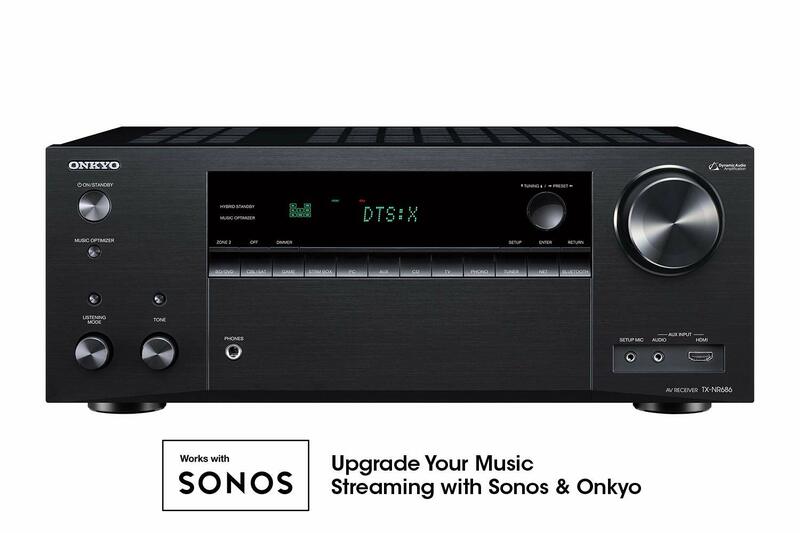 It delivers up to 95W of power at 8 Ohms and features Dolby Atmos and DTS:X compatibility for object-based audio support. Built-in Bluetooth and AirPlay support allows the receiver to wirelessly stream music from compatible sources, such as smartphones and tablets. 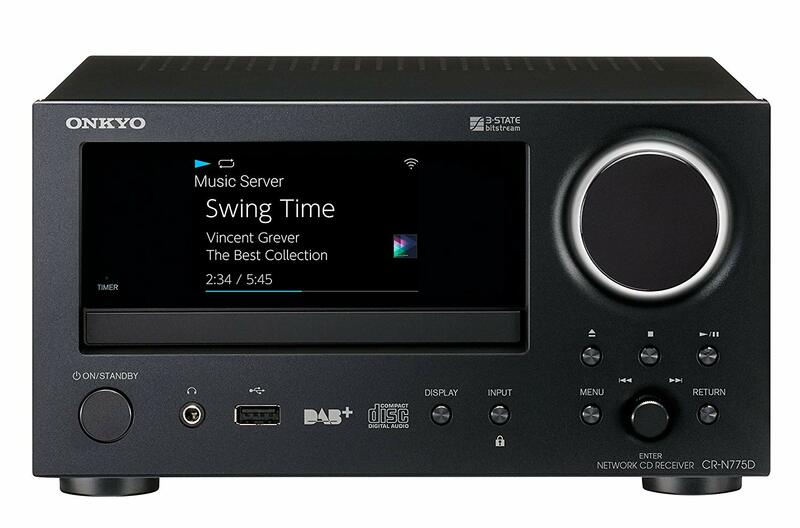 Onboard Wi-Fi and Ethernet connectivity allows the AVR-X2500H to access a variety of Internet-based music sources like Pandora, SiriusXM, and TuneIn Internet radio. 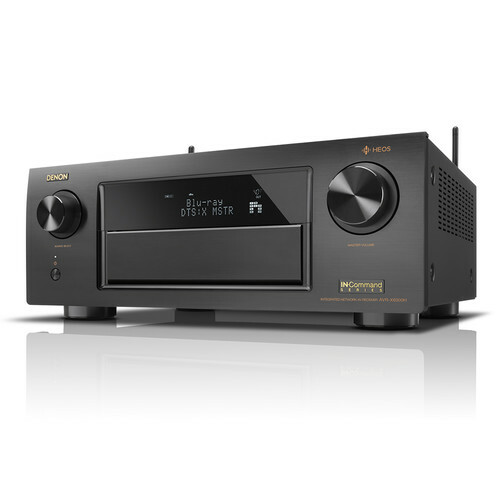 As an added convenience, you can download the free Denon 2016 AVR Remote App to control the receiver from your devices. With eight HDMI inputs and two HDMI outputs, this receiver can act as a video switcher for your HD source components. It will pass through 4K signals along with HDR10, HLG, and Dolby Vision HDR formats; it also upscales digital non-4K resolutions to near-UHD quality. The receiver also has a USB port for accessing media stored on USB flash drives. 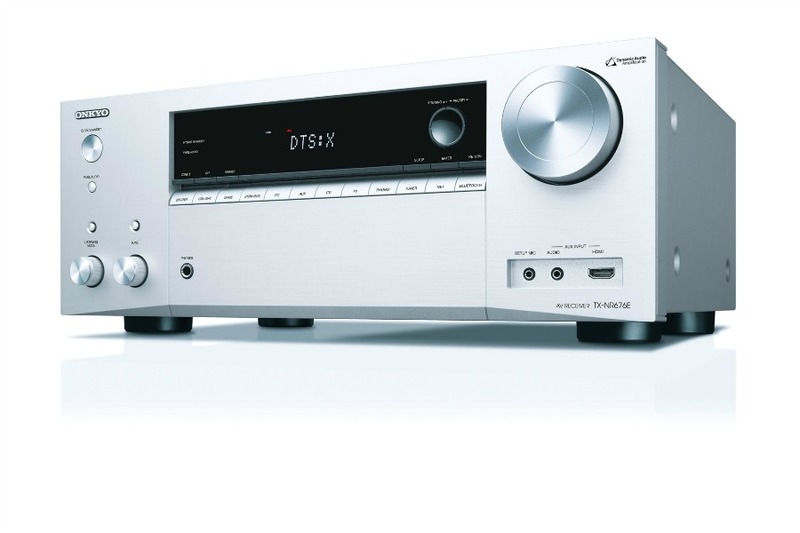 Audyssey MultiEQ XT sound optimization will calibrate the receiver to your speakers and room setup for a tailored listening experience. Note: Access to certain Internet-based content may require a subscription to a service. 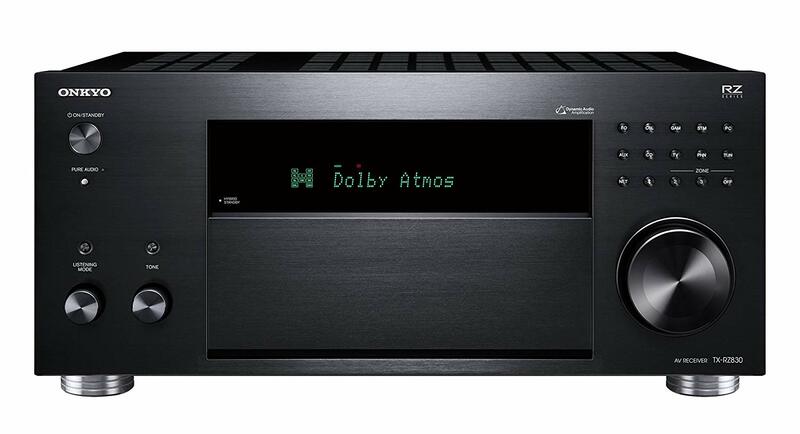 Dolby Atmos Dolby Atmos surround sound technology dispenses with channel-based coding in favor of more advanced object-based coding, giving the sound designer the ability to precisely place sounds anywhere in the 3-dimensional space. 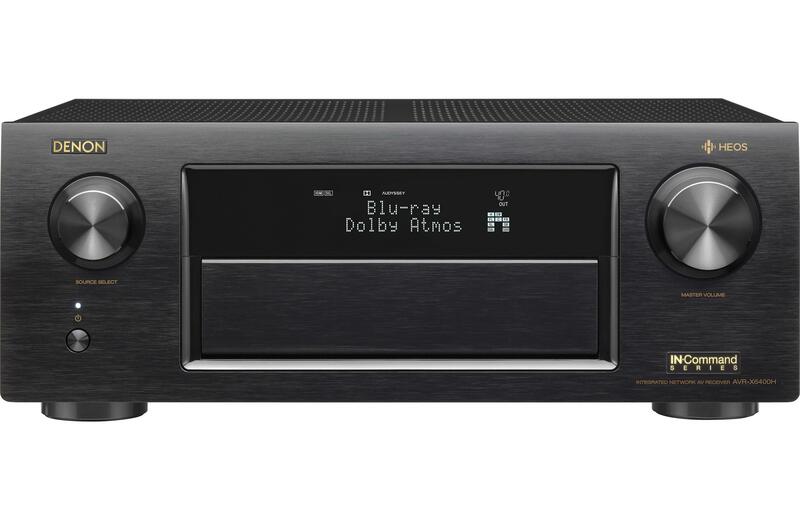 The AVR-X2500H features the ability to connect a 5.1-channel surround sound speaker system with two additional overhead speakers, or additional Dolby Atmos-certified up-firing speakers. 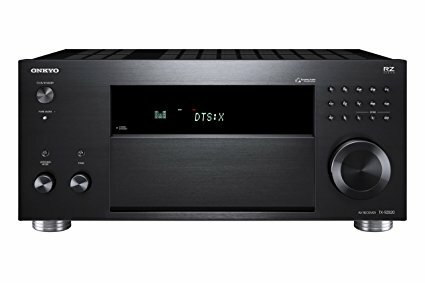 DTS:X DTS:X brings the home theater experience to new heights with its immersive object-based audio technology, which removes the bounds of channels. The flexibility of objects allows for sound to be scaled large or small and moved around the room, leading to a richer, more immersive audio experience in a 5.1.2-channel configuration. DTS Virtual:X DTS Virtual:X enables you to enjoy an immersive sound experience from as little as a 2.1-channel system, creating virtual height effects. 4K Ultra HD, HDR10, HLG, Dolby Vision, and HDCP 2.2 Support Featuring eight HDMI ports, including one located on the front panel, plus two HDMI outputs, the AVR-X2500H is compatible with 4K Ultra HD 60 Hz content, 4:4:4 Pure Color sub-sampling, BT.2020, 21:9 video, 3D, and HDR pass-through. It is also HDCP 2.2-compliant for 4K UHD copy-protected content. HDR10, HLG, and Dolby Vision pass-through are supported for enhanced contrast and color with compatible displays and content. 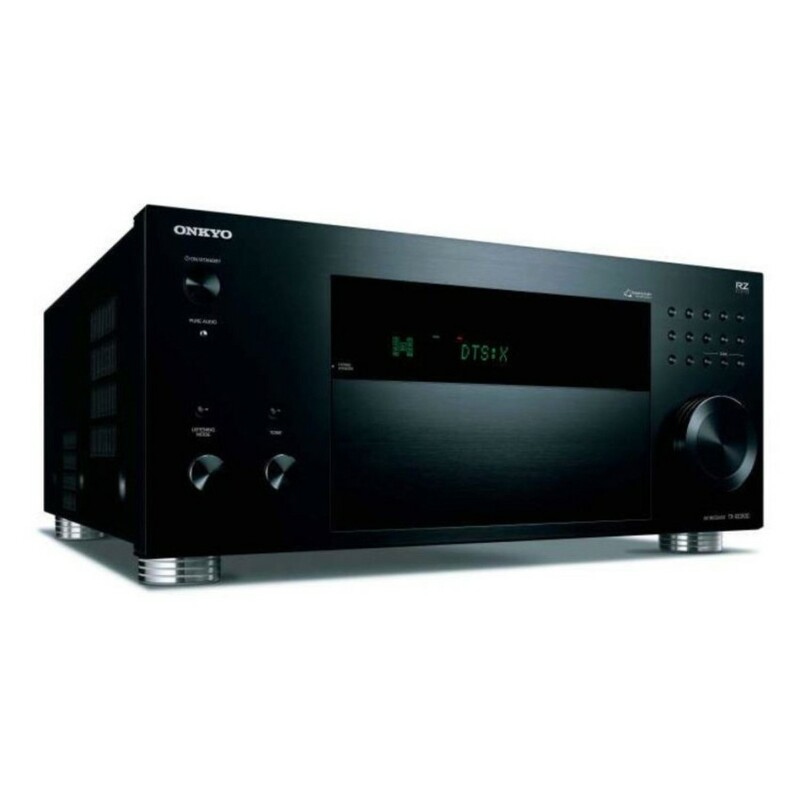 Discrete Amplification with Eco Mode Featuring discrete power output devices on all channels, the AVR-X2500H delivers up to 95W per channel at 8 Ohms. The Auto Eco mode is designed to adjust the maximum power available according to the volume level, as well as an on-screen Eco meter that lets you see the power consumption reduction in real time. Built-In Bluetooth, Wi-Fi, and AirPlay Capability Wireless connectivity is provided by Wi-Fi and Bluetooth, is also supported. The built-in HEOS technology allows the AVR-X2500H to become the app-controlled heart of a whole-house wireless multi-room sound network. Designed for Easy Setup The receiver guides you through the setup process to help ensure proper configuration. You can optimize the audio and video settings to match the rest of your system. UHD Upscaling and ISF-Certified Calibration The video processor in the AVR-X2500H can upscale lower-resolution digital sources, such as DVDs, to UHD for enhanced viewing. 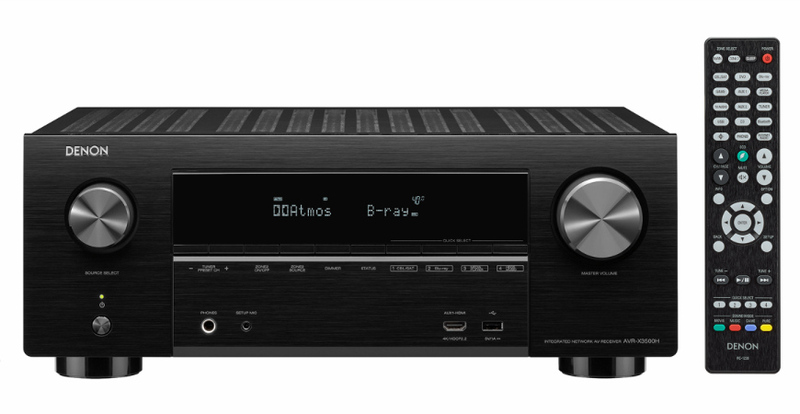 The receiver also features a suite of video calibration controls for use by an ISF technician, along with ISF Day and ISF Night video modes. Audyssey MultEQ XT With Audyssey MultEQ XT and the included microphone, the receiver analyzes each speaker's output to optimize each channel. With the Audyssey MultEQ Editor app (available for purchase in your app store), advanced users can further fine-tune their audio. Alexa Voice Command Amazon Alexa's Smart Home Skill for Entertainment Devices enables voice commands to control a range of functions on the receiver, including volume control, transport control, next track, and external input switching. Dual Antenna System The dual antenna system is engineered for robust, error-free streaming for Bluetooth, Wi-Fi, and AirPlay. 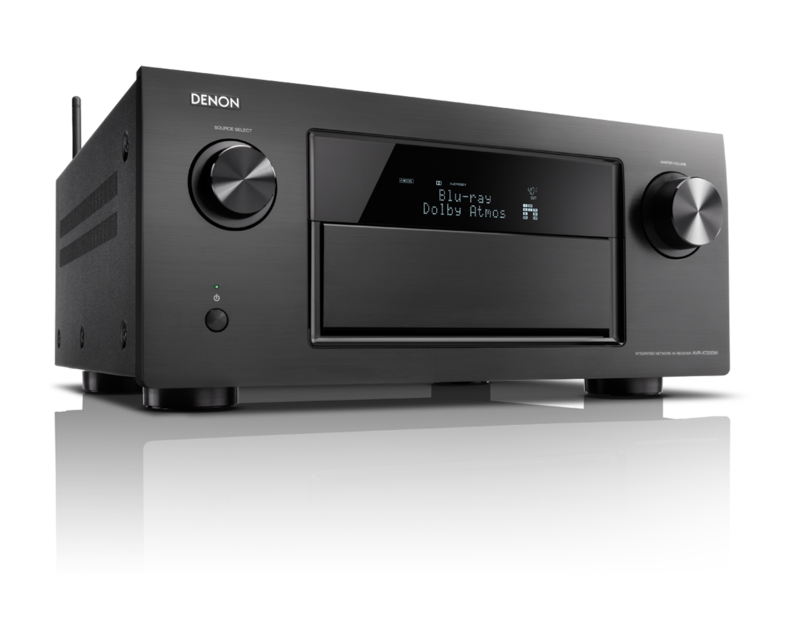 Denon 2016 AVR Remote App & HEOS App With the Denon 2016 AVR Remote app, you can control the receiver's operation, as well as command your multi-room streaming. The HEOS app allows you to command your multi-room streaming. Quick Select Functions Store your preferred setup and sound mode for every source, so you can access them at the push of a button on the front panel or remote control. Quad-Core DSP The DSP (Digital Sound Processor) features four 300 MHz DSP cores that can process over 1 billion computations per second. 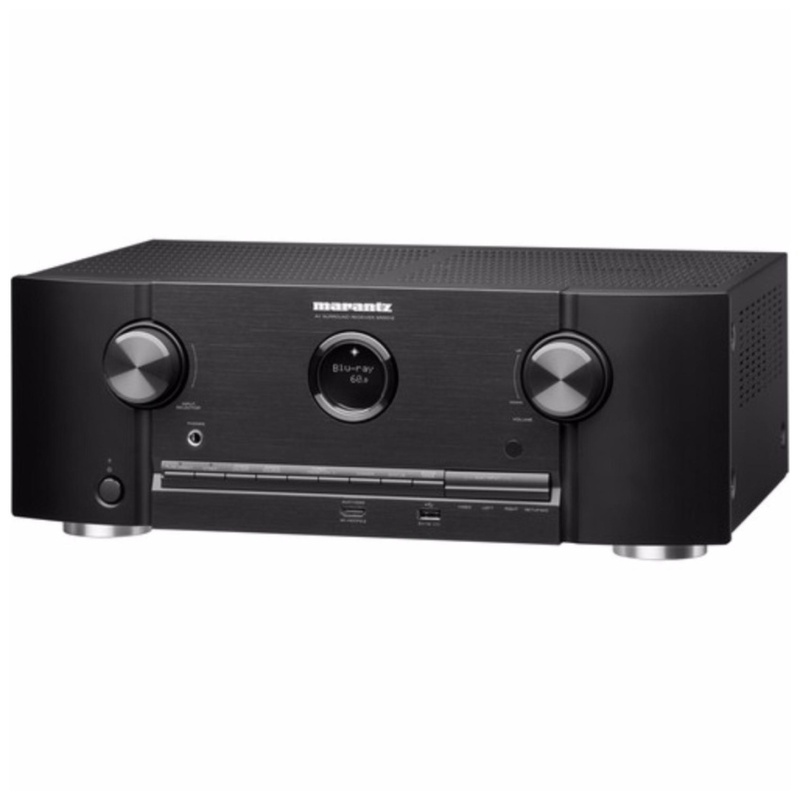 High-Resolution Audio The receiver features high-resolution audio decoding with multiple lossless file types, including ALAC, FLAC, and WAV at up to 24-bit / 196 kHz, along with compatibility for 2.8/5.6 MHz DSD files, which is the audio coding format of SACD. 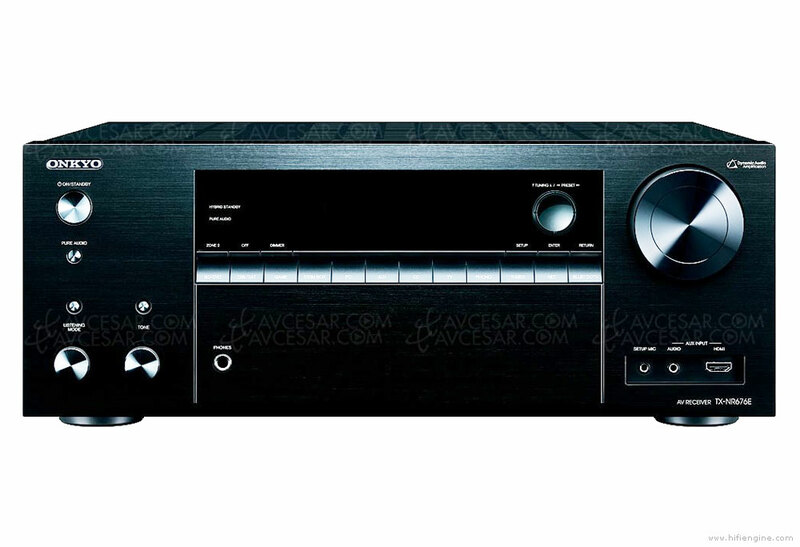 Multi-Source/Multi-Room With the AVR-X2500H, you can enjoy 5.1-channel surround in one room, while another zone plays another source, such as a CD or streaming audio. Dual Subwoofer Outputs When positioned in different locations in the listening area, having two subwoofers instead of one will even out the low frequencies for more accurate bass nearly anywhere in the room. HEOS Wireless Multi-Room Music Streaming Share music stored on your home network, Internet radio, or streaming services with your HEOS wireless speakers, or other optional HEOS-capable receivers, throughout the house. Control it all with the free HEOS app. Enjoy music from TuneIn, Spotify, Prime Music, iHeartRadio, SiriusXM, SoundCloud, TIDAL, Napster, and Deezer. 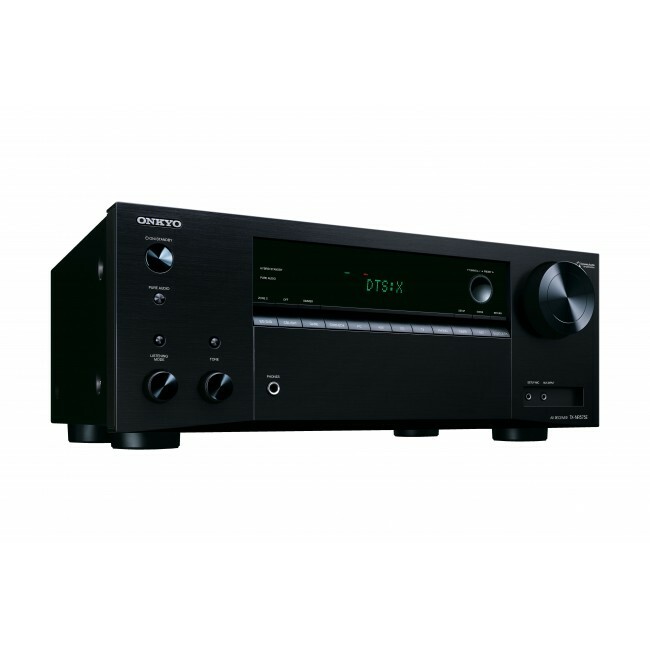 External Control and IP Control Capabilities This receiver is part of Denon's IN-Command series of custom-integration-friendly A/V components, equipped with a range of features to provide enhanced control capabilities and compatibility with third-party and custom integration solutions. It features IP control capability for integration with 3rd-party control devices and Control4 SDDP (Simple Device Detection Protocol) certification for simple integration with Control4 home automation equipment. For direct connection to external home automation and control equipment, it's also equipped with an RS232C serial port. 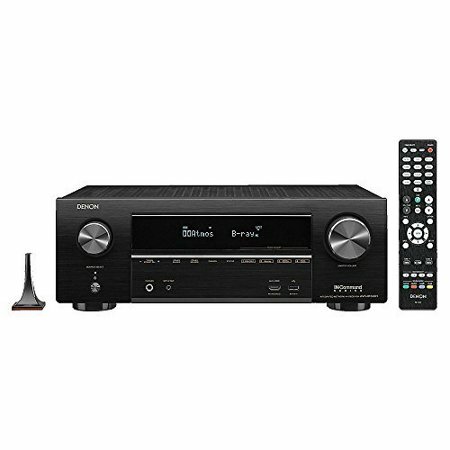 For simpler integrated control setups, the receiver has an IR (infrared) remote control input on the rear panel, allowing remote control compatibility with other components in your home theater system. AirPlay 2, Scheduled to be Made Available via a Future Firmware Update AirPlay 2 enables multi-music streaming over connected receivers and Apple's HomePod speakers. This feature is scheduled to be made available via a future firmware update. Additional Features ECO mode Setup assistant with icon-based GUI Horizontal layout of speaker terminals with color labeling (speaker cable labels included) Sleep Timer up to 120 minutes in 10-minute increments Standby HDMI pass-through Smart TV connectivity Supports Smart Remote Management capability with Temperature Monitor Supports web UI for setup Amplifier Channels	7.2 Output Power	95 W per channel @ 8 Ohms, 20 Hz to 20 kHz, 0.08% THD Object-Based Audio Support	Dolby Atmos (up to 5.1.2), DTS:X (up to 5.1.2), DTS Virtual:X Video Pass-Through	4K/60 Hz, 4:4:4 color resolution, HDR10, HLG, Dolby Vision, and BT.2020 HDCP Version	2.2 Connectivity Tuner	AM / FM Wireless Connectivity	Bluetooth, dual-band Wi-Fi, Inputs	8 x HDMI (1 front) 2 x optical TOSLINK 1 x digital coaxial 1 x component video 2 x composite video 5 x stereo RCA audio (1 phono) 1 x USB (front) Outputs	2 x HDMI 1 x component video 1 x composite video 2 x subwoofer pre-out 1 x Zone 2 stereo pre-out 1 x 1/4" / 6.35 mm headphone out (front) Other Ports	1 x setup microphone input (front) 2 x Wi-Fi / Bluetooth antennas 1 x FM antenna 1 x AM antenna 1 x Ethernet 1 x 1/8" / 3.5 mm IR remote in 1 x 1/8" / 3.5 mm IR remote out 1 x RS-232C Speaker Connectors	7 x color-coded, 4-way binding post pairs HDMI CEC	Yes General On-Screen Display	Yes Power Requirements	Not specified by manufacturer Dimensions (W x H x D)	17.1 x 6.6 x 13" / 434 x 67 x 329 mm Weight	20.7 lb / 9.4 kg Packaging Info Package Weight	25.55 lb Box Dimensions (LxWxH)	20.4 x 17.5 x 10.0"